This is a gift voucher for a Private Surf Lesson. The recipient of this gift will book their private surf lesson via the Coastlife Adventures website using the unique code on their voucher. This gift voucher is for 3 - 2 hour surf lessons. The recipient of this gift will book their first lesson using the unique code on their voucher. 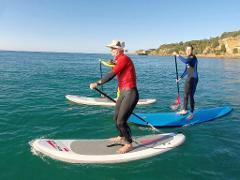 This gift voucher is for a 2 hour group surf lesson at Pambula Beach. 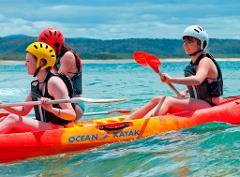 The recipient of this gift will use the unique code on their voucher to book their surf lesson at Pambula Beach. 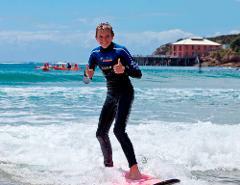 This gift voucher is for a 2 hour group surf lesson at Tathra Beach. The recipient of this gift will use the unique code on their voucher to book their surf lesson at Tathra Beach. 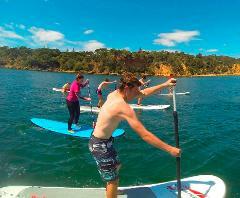 This gift voucher is for a Stand Up Paddling lesson and hire package. The recipient of this gift will use the unique code on their voucher to book a SUP lesson/hire combo via the Coastlife Adventures website. 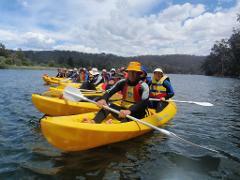 This gift voucher is for a Bega River Kayak Tour. The recipient of this gift will use the unique code on their voucher to book their tour via the Coastlife Adventures website. This is a gift voucher for a Sea Kayaking Adventure.The recipient of this gift will use the unique code on their voucher to book the Sea Kayaking Adventure via the Coastlife Adventures website. 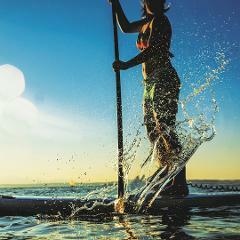 This is a gift voucher for a private Stand Up Paddling lesson. The recipient of this gift voucher must book their lesson date via the Coastlife Adventures website using the unique code on their voucher.